Explore the Gulf Islands National Park Reserve onboard our vessels and see the wonders of the Gulf Islands in a unique classroom setting. 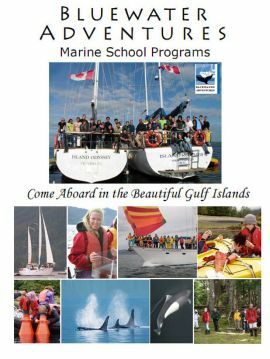 With a skipper, deck hand & naturalist - we put together excellent school programs. If you have a special focus we may be able to accommodate your itinerary. Typically 5 days long, these trips focus on sailing, wildlife, marine biology and team building. Daily shore excursions and kayaking opportunities add another element to the trip. We explore intertidal zones by zodiac& kayak and learn a lot about the coastal underwater creatures. Students are involved in all aspects of the trip from navigation to helping prepare meals in the galley. In our school programs, we promote active participation in all areas by students and supervisors. Students assume leadership, practice group problem solving, communication skills and take responsibility for specific tasks on board. By bringing students in direct contact with the marine environment, they develop an appreciation for ecosystems, and our society’s inter-connectedness with nature. Our Program, which usually runs 5 days, is intentionally left flexible to allow for whale, porpoise or other wildlife sightings. We schedule our school programs in March-May and late September-October. Both boats are available to use at the same time, or you can hire one of the vessels. Space is limited so contact our office for details on availability. Currently, we are taking requests for the 2016 Spring and Fall Programs. 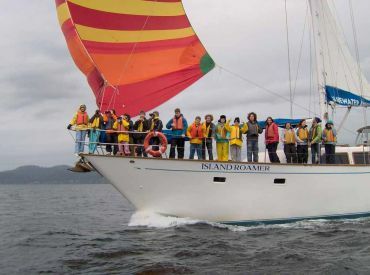 Our sailing vessels are the Island Roamer and the Island Odyssey, two identical 68-foot sailing ketches, which are Ministry of Transport Ship Safety approved. We can accommodate school groups of up to 33 students, plus teachers, in private cabins using both vessels flotilla-style. We believe that in educating the youth of today about the importance of keeping the environment clean and minimizing our impact on the earth, it will enable them to make ethical decisions in their daily lives and in their communities. On our trips we have activities and situations which encourage the students to come up with creative and innovative solutions to problem situations. We are proud to say we have been offering school programs for well over 40 years. 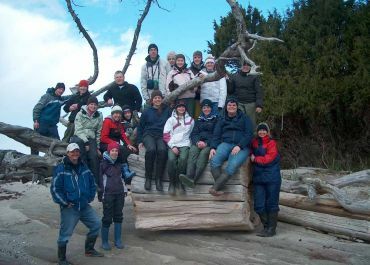 In 2019, Bluewater is taking over 350 students and teachers to the Gulf Islands. Educating upcoming generations is very important to our company and we will continue to operate these trips for years to come. On our school trips, we take the time to appreciate and connect with the wilderness environments we visit and respect the wildlife we encounter while on our adventures. 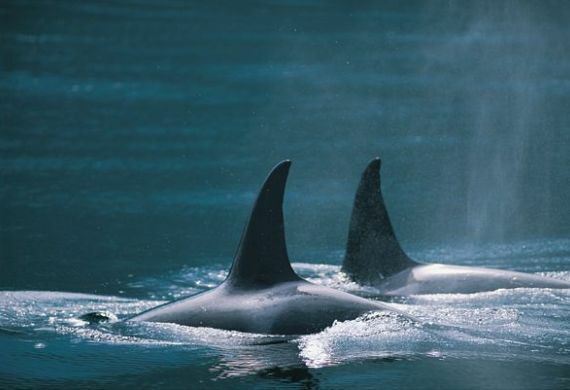 To prevent causing unnecessary stress on the wildlife while we are travelling on the water or land we ensure that we keep a minimum of a 100 metre distance ( and 200 metres from killer whales - new in 2018) to admire the amazing wildlife. We believe the best way to teach the kids about the local fauna we encounter is when we spot the species is in its natural habitat therefore; we do our best to take all measures possible to not disturb the species as they carry out their daily lives. In our smaller non-invasive sailboats when possible the wind allows us to drift amongst the fascinating wildlife while minimizing our operational footprint. While aboard we have a recycling/organic material program in place to teach the kids how to responsibly manage the waste we create throughout the trip. We respect First Nations land and obey the rules and regulations in the Gulf Islands National Park Reserve. Every year we strive to continue to tread softly in these fragile coastal environments and decrease our ecological impact on the environment where ever and whenever possible. Standard Liability Waiver FormTo be completed by all non-Calgary School Board Schools and Groups.